As I said in my previous post, I’m going to need a fashion photographer for the summer! I’m living in Mena for the summer, so someone that lives nearby would be preferable! This won’t be a specifically paid position, but I probably will be paying you somehow! 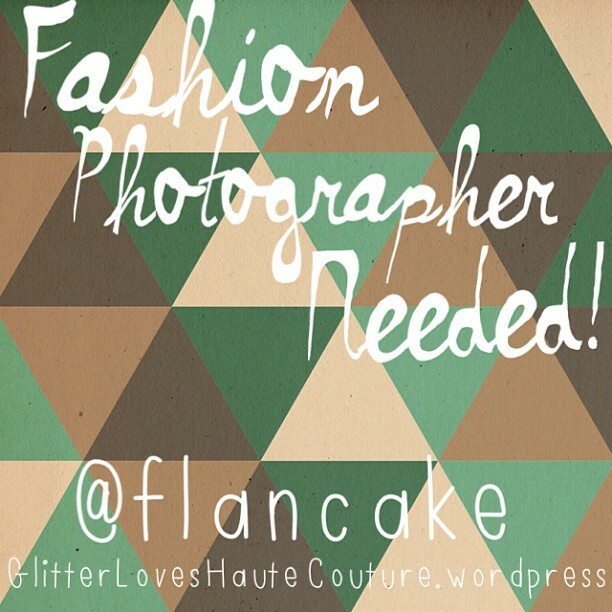 I’m looking for someone who wants to gain experience with photographing and someone who is open to trying new things! I’ll basically need someone to take pictures of my outfit’s of the day and any other things that will relate to my blog. All the pictures they take will possibly be on Instagram, Facebook, Twitter and of course my blog. Your name can be kept a secret to protect privacy, just whatever you want! For information and more details, contact me at 479.216.3732! I’m not looking for a professional, just an outgoing fun-seeking individual willing to take pretty pictures! I’m excited to hear from you! Posted on May 22, 2013 by flancake13	This entry was posted in Uncategorized and tagged fashion, photographer. Bookmark the permalink.